Early October 1990. Wellington New Zealand. I am sitting in the boardroom participating in a quarterly business review meeting with the leadership team as the CFO presents the financials for the quarter. I am the HR Director of this leadership team. The CFO continues with the company’s year-to-date performance, the committed revenue projection versus actuals, the budget variation, blah, blah, blah. I am struggling to remain focused as my mind wanders and I metaphorically float out of the room to my happy place. Suddenly I am snapped back into the room as the CFO breaks the monotony with “I want to share a story. You see I never wanted to be a finance guy and as a child, I imagined being a pilot. Sadly when I was in my late teens I discovered I was colour blind which was the end of my flying aspirations.” The CFO goes on to tell his story of how he found immense satisfaction in managing the finances of organisations and the unlikely parallels between flying and finance. For example, as a CFO and a pilot, you are both heading on a predetermined flight plan which has to be submitted. Also, the gauges on the aircraft dashboard give you vital information on how you are tracking along your journey in the same way financial metrics reveal how a business is travelling. He used flying as a metaphor and he had me and the rest of the audience in the palm of his hand. It all started to make sense to me. I not only understood but was interested. Now 30 years later I still recall that experience. Neuroscience imaging shows that facts and figures activate just two areas of the brain: those responsible for language comprehension and processing. But stories activate up to eight areas of the brain: those having to do with touch, movement, scent, sound, colour, and shape in addition to language comprehension and processing. This implies that the brain responds to the story events as if they were actually happening to the listener. If you’re sceptical, think about why you cry while watching a movie, even though logic tells you that the story and characters are fictional. The human brain has a strong tendency to lose focus. In fact, it is estimated to engage in up to 2,000 daydreams a day and spend up to half its waking time wandering. In the presence of a compelling story that creates tension, however, the brain snaps to attention due to the release of a stress hormone known as cortisol. 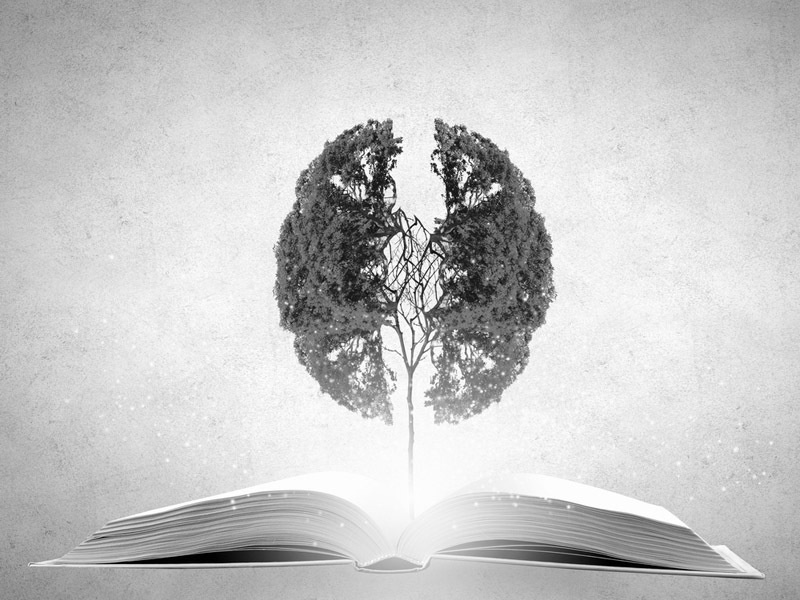 In a series of studies, neuroscientist Paul J. Zak tested the brain’s response to engaging stories. When humans are presented with something that is familiar and deemed trustworthy, our bodies release a neurochemical called oxytocin that creates a feeling of connectedness. Perhaps the most fascinating research is evidence of connectedness through mirror neurons. A study by Uri Hassen of Princeton University found that when a speaker is telling a story, the same areas of the both the speaker’s and the listener’s brains light up despite the fact that one is producing information and the other is receiving it. This creates coherence between a speaker’s brain and the brains of his/her audience members—it ensures that you and your listener are on the same page. We all desire connectedness in some form. the medial prefrontal cortex plays a role in decision making and memory recall. the posterior cingulate cortex: active in episodic memory recall. the inferior parietal lobe plays an important role in understanding emotions and interpreting sensory data. the lateral temporal cortex: active in the emotional association and visual memory. the hippocampal formation: where long-term memories are processed. The science tells us that storytelling helps to connect with the thoughts and feelings of others in the moment, enhances memory, commands attention, builds trust, and influences behaviour. So if you rate yourself as a great communicator, then you must also be a storyteller. If not, then you haven’t read the science. We specialize in teaching people how to apply the elements of executive presence to their storytelling. Make sure you become the storyteller people will remember for a long time to come. At Ariel Group Australia, we’re committed to helping professionals communicate more effectively. For more information on how to become a better communicator, look at our communication courses, or Contact Us today.